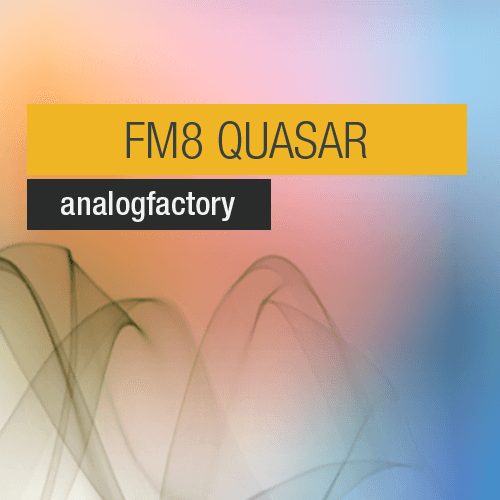 “FM8 QUASAR” features rattling and powerful basslines, beautiful, crystalline lead pads. Long envolving and dark soundscapes, melodic and dynamic sequences and rough, dynamic bass presets. Aimed at atmospheric film scoring and deep electronica music.